Meekatharra School of the Air is unique in that all teaching staff not only provide the base support but also conduct home visits to provide on-site support to students. We aim to develop close relationships between teachers, Home Tutors and students and we see this as a feature of our school. 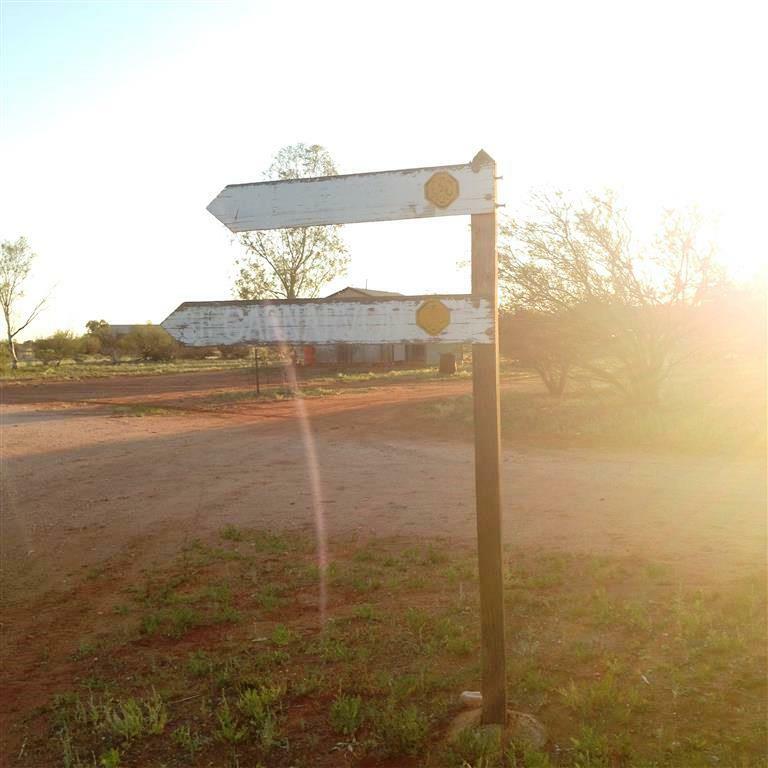 Meekatharra School of the Air will work with parents to provide quality education and help foster an environment that is positive, enabling children to achieve their full academic, physical, social and emotional potential - both on and off the air. A School of the Air exists to help primary aged children who are not near enough to a school or bus route to get an education. In Western Australia, Schools of the Air have been open for over fifty years. Our students' background vary from those who have always done all their school by CENTRA and/or correspondence, to those who have come from a regular school system. Home Tutors are usually Mum or an employed Home Tutor. 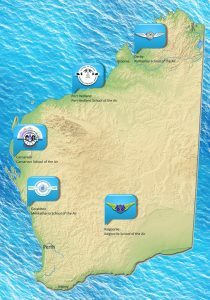 Most live within a radius of 500km's, with the closest family about 90km's from Geraldton We broadcast approximately 1000km’s to the north and 900km’s to the east. 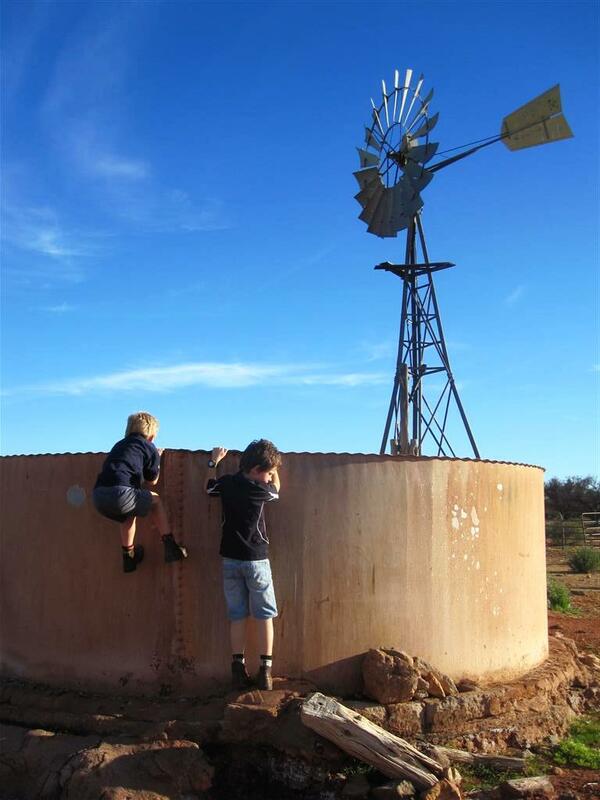 Our families range from pastoralists or kangaroo shooters on sheep or cattle stations, to those working in the tourism industry or living at caravan parks, settlements or roadhouses. The written courses are the foundation of the children’s education. The material is organised by the school into sets and are sent out to the children. Full-time teachers conduct daily CENTRA lessons and mark the children’s written work. Teachers visit the children at home to work with the children in both academic and non-academic areas. The teacher also gives ongoing assistance to the Home Tutor through home visits, phone calls and emails. Meetings of teachers and Home Tutors are held regularly to explain activities and help with general problems ('on-air', telephone, seminars, camps). Because of the importance of the school tasks, every effort is made to develop a close and cooperative relationship between the Home Tutor and teacher. Sets are mailed between the school, the child and the Home Tutor. Meekatharra SOTA caters for students from Kindy to Year 6. The school’s CENTRA teaching programme includes language, health, science, social studies, art, music, computing and LOTE (accessed from S.I.D.E.). As opportunities arise, we host guest speakers on air. Assemblies are held each Friday and P&C Meetings are also held regularly. You will receive a CENTRA Timetable which tells your child when he/she commences lessons on the computer using CENTRA. A term planner from your teacher tells you what subjects will be covered each day in the term and what items are required for each lesson. Most Home Tutors remain with the younger ones for all air lessons. Thorough organisation for the air lessons is essential and all necessary materials need to be readily available during the CENTRA broadcast. Set Work is the work that your child completes at home with you. It is set out in daily activities. Language and Maths are done from booklets commonly known as ‘sets’. There are sixteen to seventeen per year, each lasting a fortnight. Air lessons compliment and reinforce the language sets. Your teacher will sometimes alter the programme to suit special circumstances or local events. The weekly programme is set out in days with provision for evaluation and revision. It is essential that work is mailed or brought to the school as soon as possible after completion so that marking and feedback from teachers can be relevant and timely. As each child is different and their abilities vary, staff will assess each child and provide a programme best suited to that child’s needs. Teachers and parents work together with the STL to ensure work meets the needs of the students. CENTRA is the computer and satellite based delivery of lessons from the School of the Air Teachers to their students. 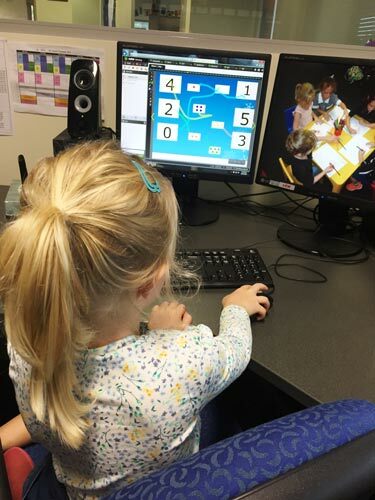 Student sites are provided with the equipment such as satellite dishes, modems, computers and printers needed by the students to communicate with their teachers and the school in Geraldton. This is used by the students in regular school lessons as well as music and LOTE (Language Other Than English). Parents also tap into the CENTRA resources with P&C Meetings, whole school assemblies and information sessions. At enrolment, the MCS will email you the enrolment forms. She will also assist you with general questions about school organisation. Educational questions and organisation will be handled by the class teacher or principal. If you are in town, you can pick up your set work and the class teacher can go through these items with you. Set work will be mailed to you if you are unable to collect it. The class teacher will take you through the use of computers and practice on-air procedures as appropriate. 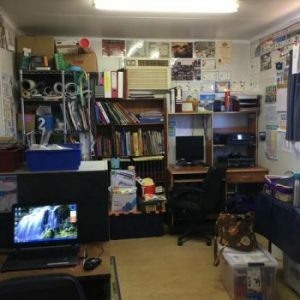 Informal computer training is available on visits or by phone. We like to make early visits to your home. Often, new Home Tutors like the individual attention. Your class teacher will make arrangements with you when it is convenient for everyone. A one day visit is desirable at this early stage. You are asked to provide teachers with accommodation and meals on visits. Your family then becomes part of the regular visitation programme. Further information is available in our Parent Information Handbook, on the Parent Portal.